WWE® (NYSE: WWE) and Louisiana Governor John Bel Edwards announced on November 12 that WrestleMania 34 generated $175 million in economic impact for the greater New Orleans region this past April, according to a study conducted by the Enigma Research Corporation. 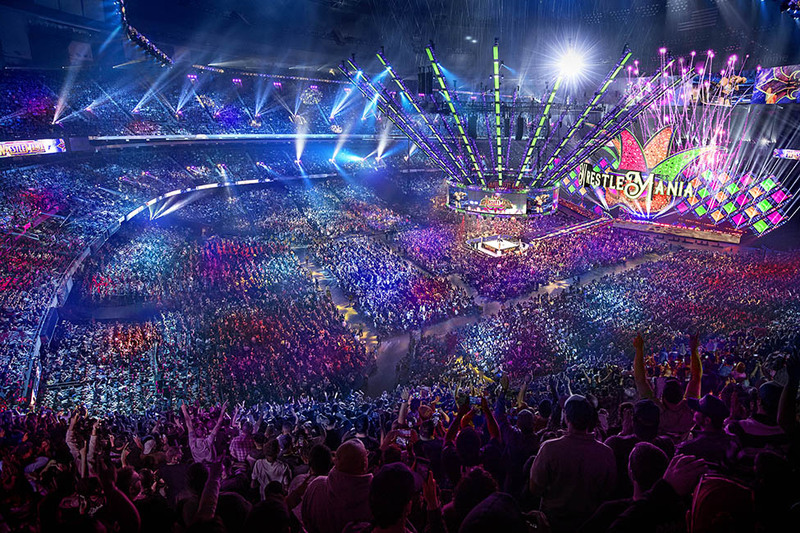 This marks a significant increase from the $142 million generated for WrestleMania 30 in New Orleans and the seventh consecutive year that WrestleMania generated more than $100 million in economic impact for its host region. Over the past 12 years, WrestleMania has generated more than $1.2 billion in cumulative economic impact for the cities that have hosted the event. WrestleMania 34 also generated approximately $23.7 million in federal, state and local taxes. “Yet again, WWE delivered on its promise to offer a spectacular event in New Orleans and a boost to the local economy," Governor John Bel Edwards said. "I would like to thank the WWE fans from around the world that descended on New Orleans for WrestleMania Week. We hope they enjoyed their visit, and more importantly, we hope to bring WrestleMania back to New Orleans in the future." $175 million in direct, indirect and induced impact derived from spending by visitors to New Orleans for WrestleMania 34. 77% of fans that attended WrestleMania were from outside the New Orleans region and stayed an average of 3.9 nights. $22 million was spent on hotels and accommodations within New Orleans. The economic impact derived from WrestleMania Week was equal to the creation of 1,583 full-time jobs for the area. $9.9 million was spent by visitors to New Orleans at area restaurants. Next year, WrestleMania 35 will take place April 7 live from MetLife Stadium in East Rutherford, NJ. Tickets will be available this November 16 at 10 a.m. ET through Ticketmaster (Australia: November 17 AEDT). The event will be streamed live around the world on WWE Network. Enigma Research Corporation is an international consulting firm which specializes in measuring the economic impact of special events. Enigma’s economists developed a customized model which converted expenditures into economic impact, employment supported and taxes generated as a result of the event. WWE, a publicly traded company (NYSE: WWE), is an integrated media organization and recognized leader in global entertainment. The company consists of a portfolio of businesses that create and deliver original content 52 weeks a year to a global audience. WWE is committed to family friendly entertainment on its television programming, pay-per-view, digital media and publishing platforms. WWE programming reaches more than 650 million homes worldwide in 20 languages. WWE Network, the first-ever 24/7 over-the-top premium network that includes all live pay-per-views, scheduled programming and a massive video-on-demand library, is currently available in more than 180 countries. The company is headquartered in Stamford, Conn., with offices in New York, Los Angeles, London, Mexico City, Mumbai, Shanghai, Singapore, Dubai, Munich and Tokyo.